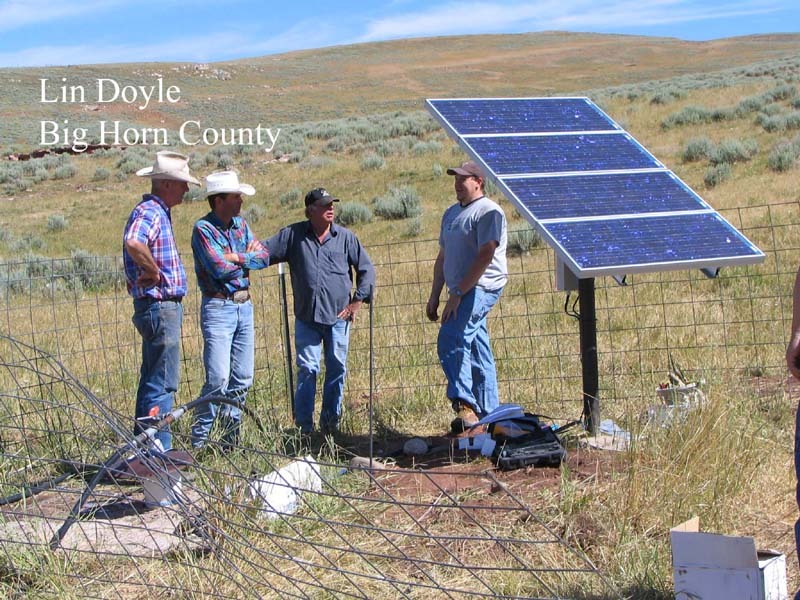 In 2004 the Governor allocated a total of $500,000 for the Wyoming Solar Photovoltaic and Wind Powered Stock Water Pumping Initiative. Conservation Districts were asked to be the entities that accepted applications for solar power projects. The South Big Horn Conservation District selected a team of individuals to review the applications and recommend final landowner selections. The list of approved projects were then submitted to the University of Wyoming. Two rounds of applications were considered and Doyle Ranch, Tom Shirran, and Hamilton Ranch, all from Hyattville, were selected. 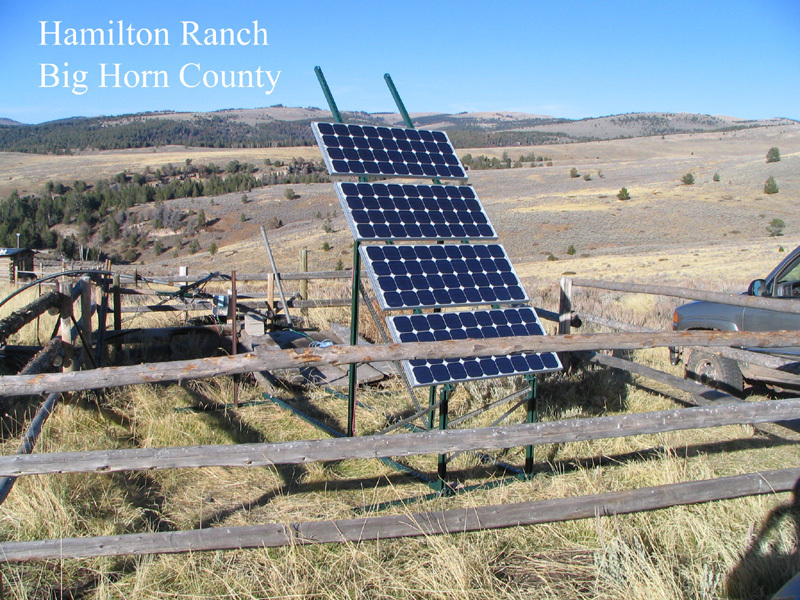 Systems are to be used for water well applications, pumping water out of streams into storage tanks, and other appropriate applications that will benefit wildlife habitat and improve livestock distributions. 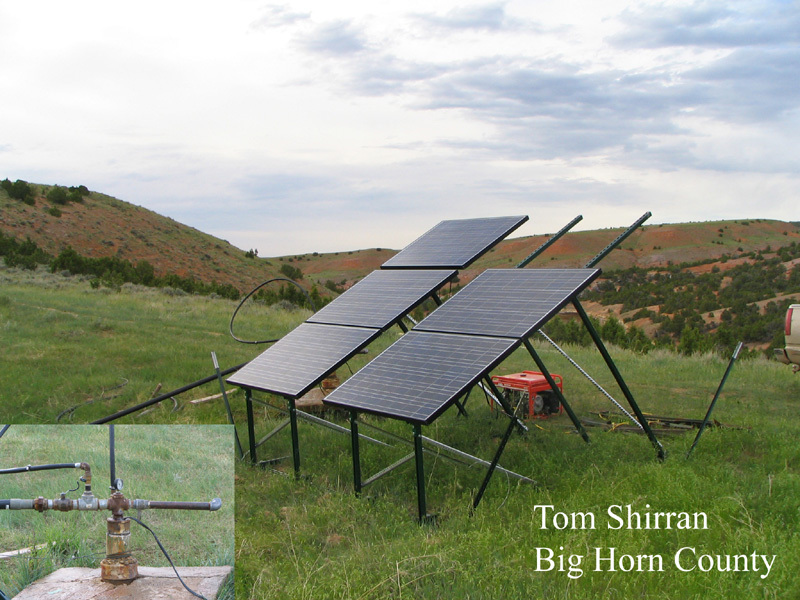 The program included provisions that after two years, the producers owned the solar pumping system. During the first two years, producers had to agree to work with the University of Wyoming to showcase their working system. Funds were used to purchase solar panels, pumps, and wiring hardware to help offset new technology costs. Producers were asked to provide in-kind match to include construction of concrete pads, well drilling costs, fencing materials, maintenance costs, and other materials to complete the project. 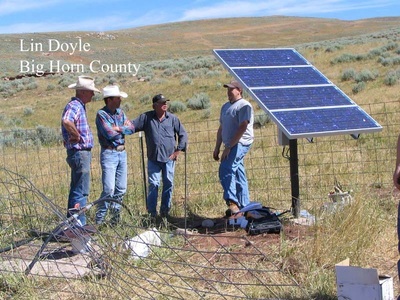 Dr. Sadrul Ula, Energy Advisor with Governor Freudenthal's Office, and Steve Fletcher, University of Wyoming Electric Motor Training and Testing Center provided the technical expertise necessary to install the solar systems.